Moorea is a smaller island than Tahiti, visible from the north coast. We spent most of our second day there, taking the ferry there and back. 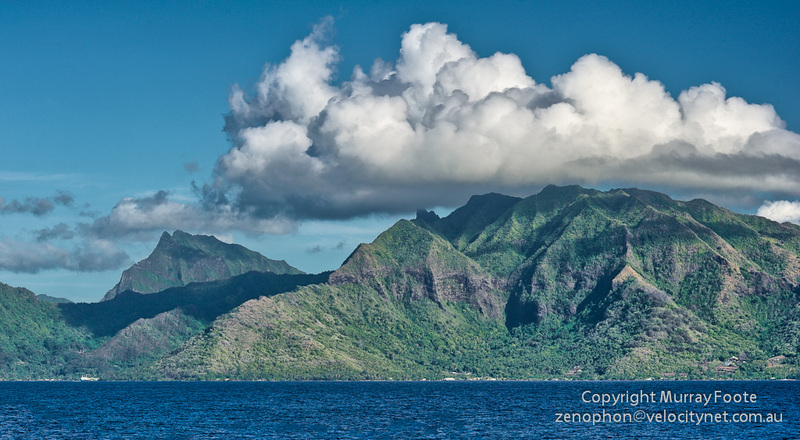 The view above is from about half-way across the channel between Tahiti and Moorea. In the image above, we are looking across Cook’s Bay, having driven around to the north side of the island in a rental car. Clearly, we’re not in Easter Island anymore. For one thing, there’s lots of vegetation and it’s quite warm. We just took off along a small residential side road from the road around Cook’s Bay and this is a view we found there. Then we drove around the coast to Opunohu Bay and this view is just along the road inland in Opunoho Valley. 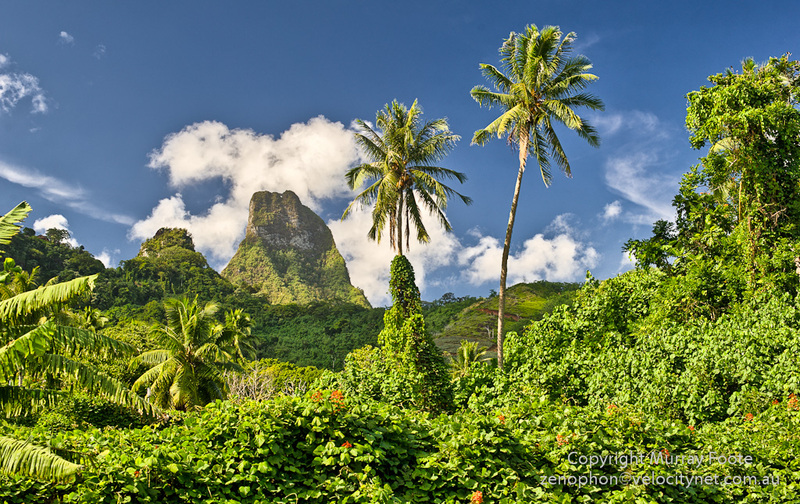 This entry was posted in Tahiti and tagged Moorea, Photography, Tahiti, Travel. gorgeous! i’ve always wanted to go to Tahiti! Thank you. 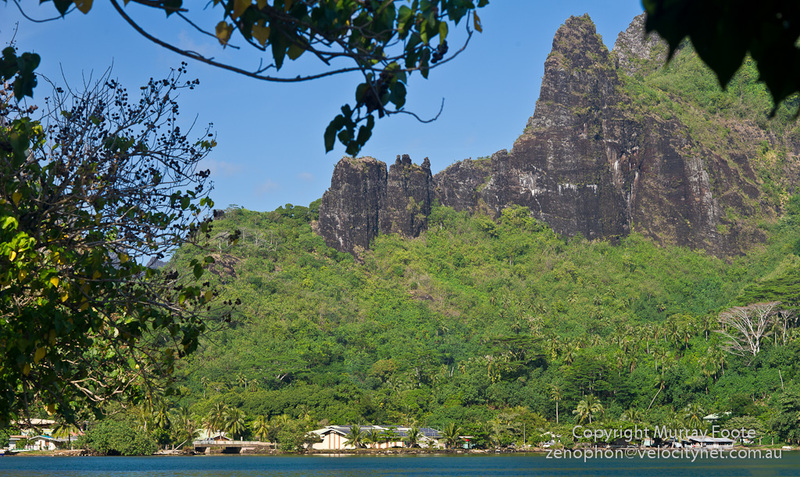 I’ve still got a few more posts on Tahiti to go….